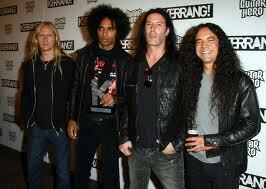 Last we heard, Alice in Chains were hard at work on material for their second album since the death of original vocalist Layne Staley. There’s no doubt the album will be one of the year’s best — the only question we have is will we hear the album in 2012? Van Halen tease album release date? 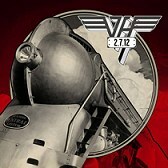 In addition to announcing plans to hit the road in 2012, Van Halen have also seemed to hint at details of their much-anticipated reunion album. The disc could very well hit stores Feb. 7, if the graphic to the left is any indication of what the band has in store for fans. 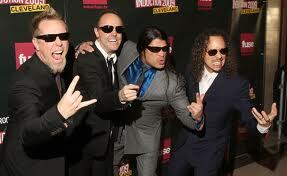 Metallica recently celebrated their 30th Anniversary with a series of fan club shows at the Fillmore in San Francisco. MetClub members could see individual shows at the legendary venue (capacity 1,200) for $6, or all four for $19.81, in honor of the 30 year mark. Metallica are now making Night 1 of the series available to fans. Radiohead fans should set their alarm clocks to get up early this coming Monday (Dec. 19), as the band have announced they will release two fresh songs that morning: “The Daily Mail” and “Staircase.” As reported by At Ease, the tracks, which were taped during studio sessions for the group’s latest album, The King of Limbs, will be available via the music streaming service Deezer starting next Monday. Let the countdown begin.